They might not happen too often, but there’s something about hot, sunny days… they frame your surroundings in a fresh light and somehow introduce you to completely new perspectives. 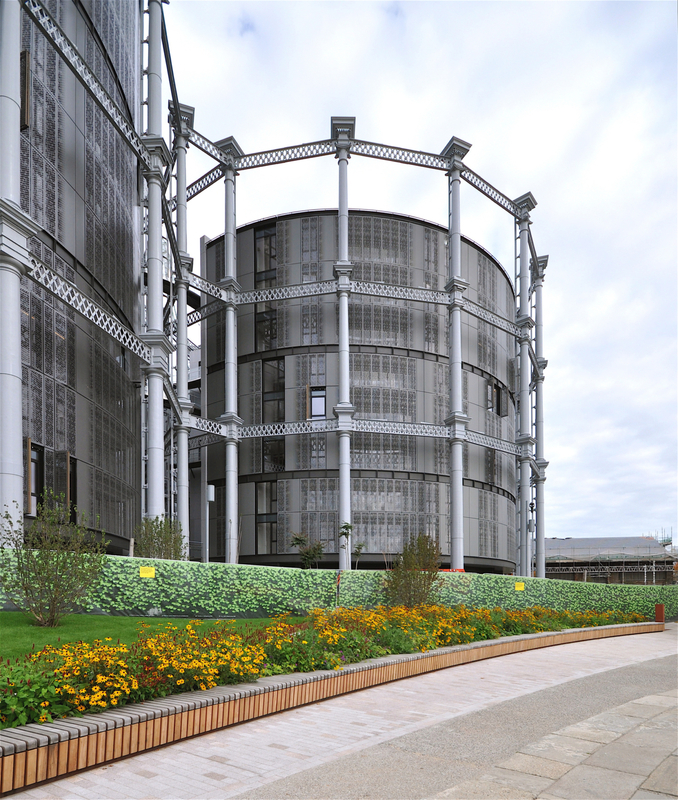 Exactly this happened this week as I found myself wandering through Argent’s King's Cross Development and was treated to the sight – in their full glory – of the impressive Victorian gasholders which now encompass 145 luxury apartments. 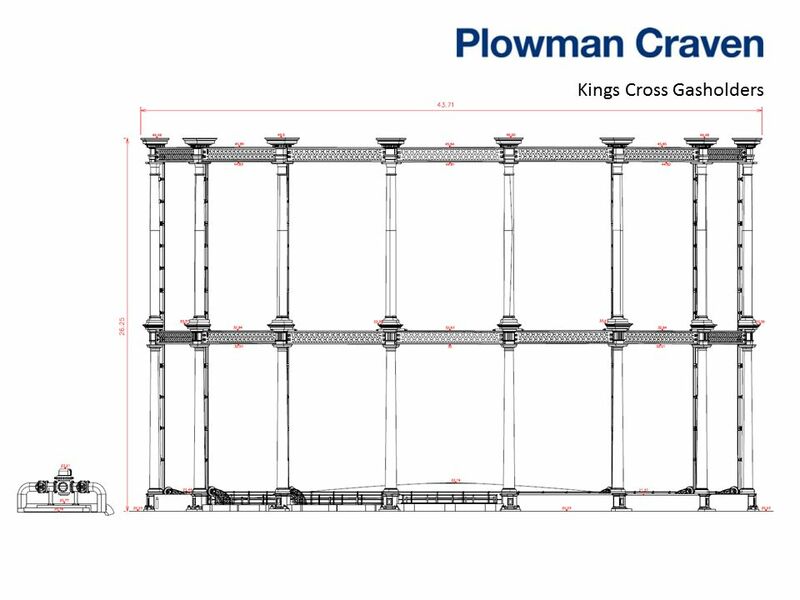 As part of Plowman Craven, I have been involved in this development scheme since 2002, and although I had read with interest a number of magazine articles this was the first time I’d seen the completed works. 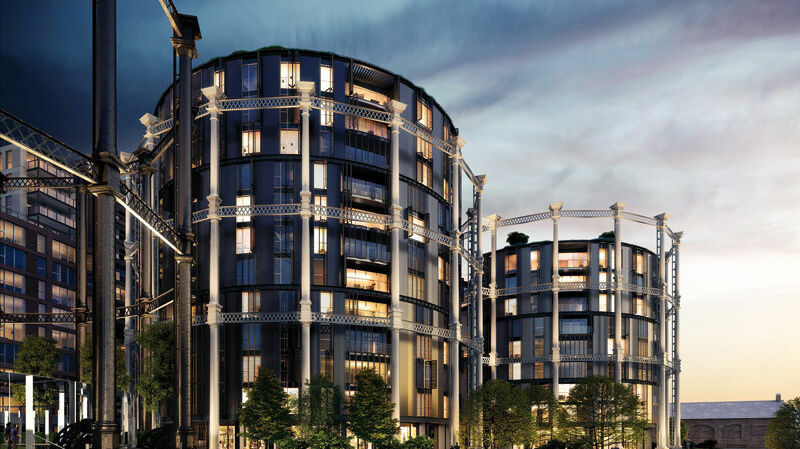 What a stunning development it is, with the beautifully restored columns and lattice work perfectly complementing the high-end residencies contained within this exoskeleton. 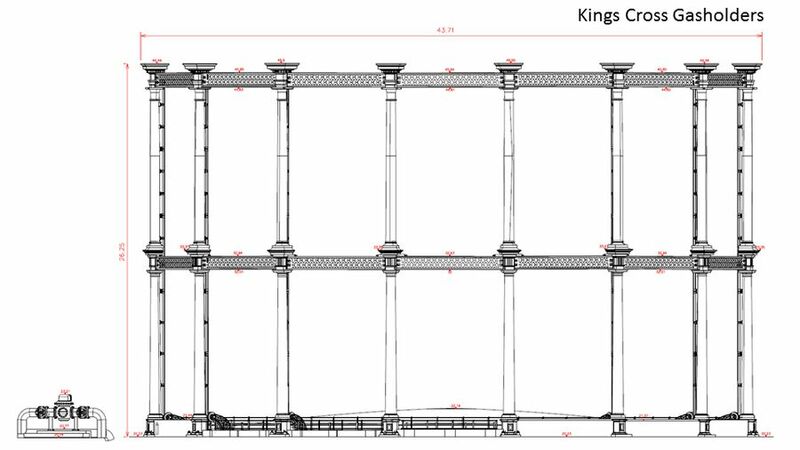 Our first involvement with the ‘Siamese Triplets’ (as gasholders 10, 11 and 12 became known) was providing a 3D heritage model of the ironwork structures before they were dismantled, restored and again reinstated on the north side of Regents Canal. Fast forward to 2018 and we’re still working on the project – with our most recent association being an area measurement exercise to provide the client with definitive internal measurements of every single apartment that can then be compared to the original plans. Given the wedge-shape apartments and a distinct absence of straight walls, this has proven a highly complex task for our surveyors but happily we’ve managed to find a solution. It’s always a treat to see a scheme come to fruition, especially one that retains the true character and heritage of the site - hopefully there are more sunny days and more completed projects to come.